Bangs India, a favourite destination for burgers and fried chicken, after opting for franchising, is all set to offer a cost-effective business opportunity. In an interview Asvin Simon, CEO, Bangs India shares the expansion plans of his company and its inception. Ramanjit Kaur (RK): Could you shed some light on the inception of Bangs India? 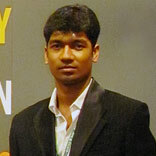 Asvin Simon (AS): Bangs India started its operations in 2008. It is the owner of the Bangs fried chicken concept and trademarks, operates, develops and franchises Bangs fried chicken kiosks and express outlets. Presently, the company has seven outlets in Chennai. RK: When did you think of taking the franchise route? What difference have you noticed in the performance of the company after opting for franchising? AS: We started franchising in 2009 to expand our business. We took one complete year to set up our infrastructure, business operating system, management team and transportation facilities successfully. Then we decided to opt for the franchise model to increase the presence of our brand. With the plan of expansion, we recently participated in an event organised by Franchise India. It has helped us lot in finding passionate and skilled franchisees for our business. RK: What do you look for while selecting your franchisees? AS: We usually look for entrepreneurs who have a positive attitude towards life. Secondly, they must be honest and capable enough in running our business efficiently and effectively. Most importantly, we want our franchisees to understand our business concept and strictly follow our systems. And they should be capable enough of devoting ample amount of time to run the business profitably. Besides, the prospective franchisee should have the financial and managerial resources to effectively establish the franchise. RK: What kind of support and services does a franchisee get when partnering with you? AS: We provide all kind of support to our franchisees. We help them in marketing the brand at the local level. We also provide them with a fresh stock and share the system that will help them keep a check on the quality and quantity of the stocks required. RK: What investment is required by an aspiring franchisee? AS: The investment required to take the franchise of a kiosk is a minimum of five lakh rupees. RK: What kind of challenges a franchisee can face while running a franchised business? AS: As we provide our franchisee with all the internal support so there is no much of a challenge a franchisee may face while operating our business. RK: What are your future plans? AS: We are planning to open 100 franchised outlets by the end of this fiscal (50 Outlets are Franchised and 50 Outlets owned by us). Out of which 50 outlets will be opened in various cities of South India like Bengaluru, Hyderabad, Thiruvananthapuram, Kochin, Coimbatore, Pondicherry and Madurai. And in the next three years, we aim to take this count to 500 outlets across the nation. By next year, we will start expanding towards the Northern regions of India. Also, we are planning to open vegetarian outlets for Bangs. RK: Any advice for the aspiring entrepreneurs? AS: While starting a business, they should not lose their confidence as they may face a lot of problems during the initial phase. It is very important for an entrepreneur to work harder during the first two years of the business establishment to achieve the desired results.